As you might imagine, there are perceived/potential winners and losers with the changes proposed. 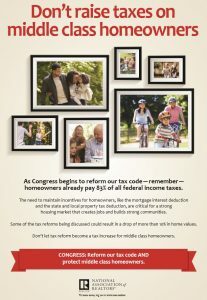 While a number of national business organizations have come out in support of the framework, the National Association of REALTORS® have kicked off a multimillion dollar advertising campaign to express their concerns with the proposal–due to the impact on the mortgage interest deduction. 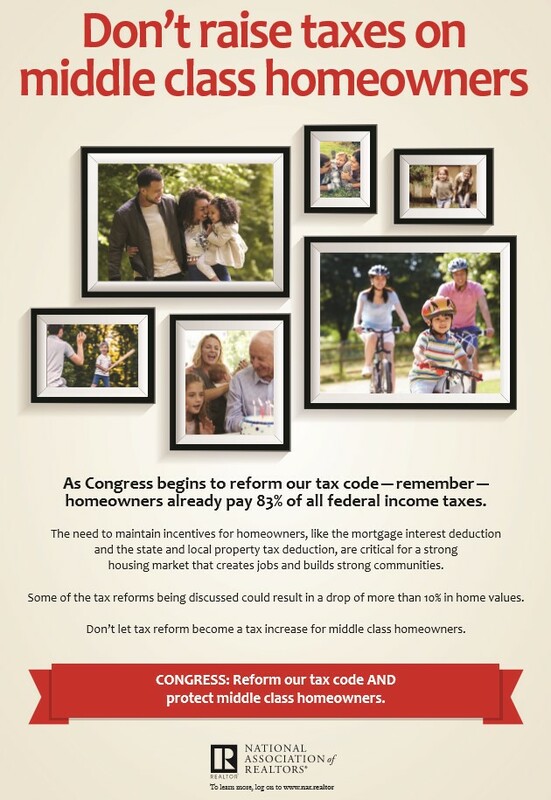 Based on an analysis by NAR and PricewaterhouseCoopers, housing prices could fall 10% if the tax reform package is enacted as proposed. We will continue to track this critical issue as it moves forward.